What a surprise! After visiting Buffalo for many years – as Don’s family lives in the area, it was interesting to view Buffalo through a camera lens. Once lifting the camera, it was interesting to see that there are many great subjects to photograph. Looking forward to returning with more time to take pictures. With a combination of old & new sites, it provides much variety for pictures. CanalSide – now the rebuilt and revitalized Buffalo waterfront, is anchored by the “Lloyd Street Ruins” original foundation of the Steamboat Hotel – unearthed during the construction phase of the waterfront. 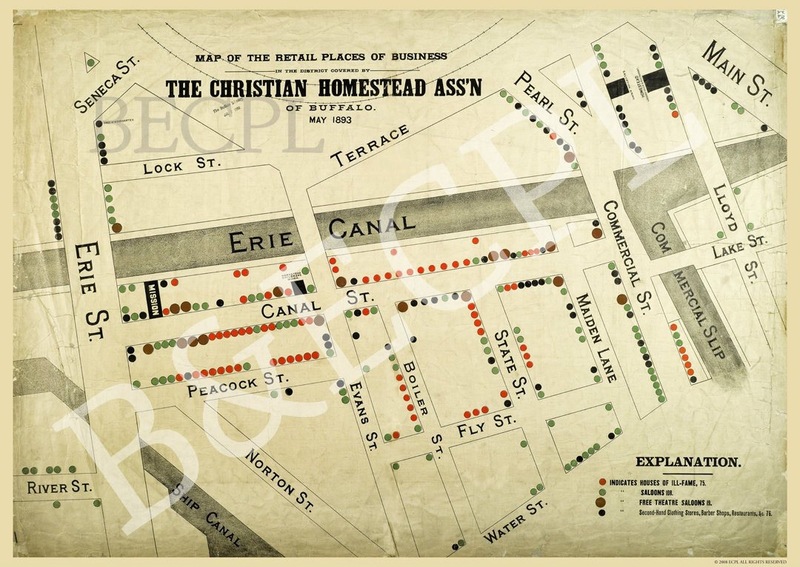 Originally home to Canal Street, Buffalo that anchors the area – was the “Wickedest Street in the World” due to (rumor/legend) that a murder took place each day. The home of the Country’s first dive bar, Doug’s Dive (pictured above) along the Erie canal – down a steep set of stairs, patrons occasionally would “dive” into the bar. Many ‘working girls’ frequented the area – in excess of 400 in the 1880s. Also known as the ‘infected’ district due to the presence of syphilis, chlamydia, diphtheria, scarlet fever and other maladies. Now working on revitalization, The Buffalo waterfront is one of the main areas to be brought back to life – offering different opportunities for water recreation and viewing. Kayaks and Water Bikes; Ice bikes available in Winter. Yes. In addition to a 33,000 square foot ice rink. 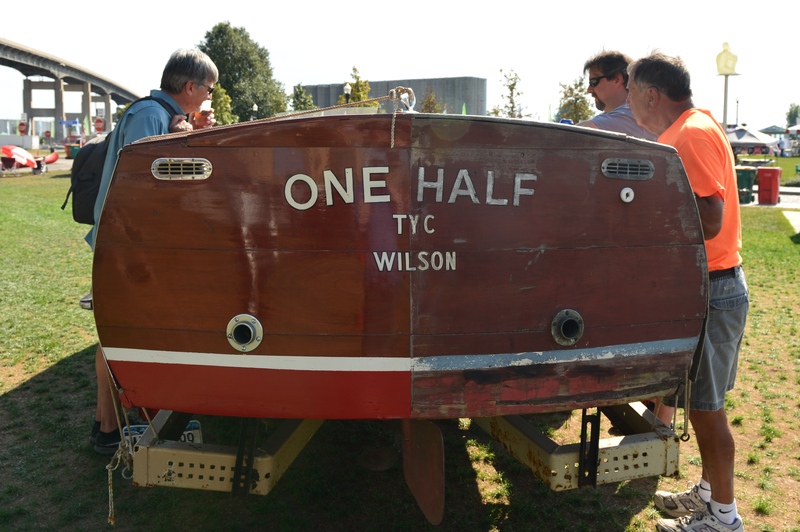 During our visit, the ‘Old Boats Buffalo’ displayed some of their restored treasures and shared them with the public. Especially interesting was this half & half boat. Half restored and Half in the original unrestored condition. The Queen City Ferry offers visitors a opportunity to visit the opposite side of the water. With a $1.00 fare, you can visit the First Buffalo Marina with access to Wilkeson Point Park, Times Beach Nature Preserve and the Chinamen’s Lighthouse. Why Chinaman’s lighthouse – when one cannot find a person of Chinese descent in Buffalo – forget about a decent Chinese meal. 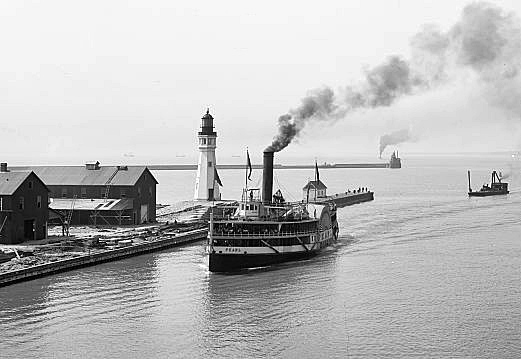 The lighthouse apparently resembled a Chinaman’s “Coolie” hat and was also used to look for illegal Chinese immigrants crossing over the Niagara River from Canada. The rebuilt “Commercial Slip” directly on top of the original of the same name – joining the Erie Canal with Lake Erie. Forming one end of the Canal District, sight of many sins. Forgotten, once the New York State Thruway was build over the area. 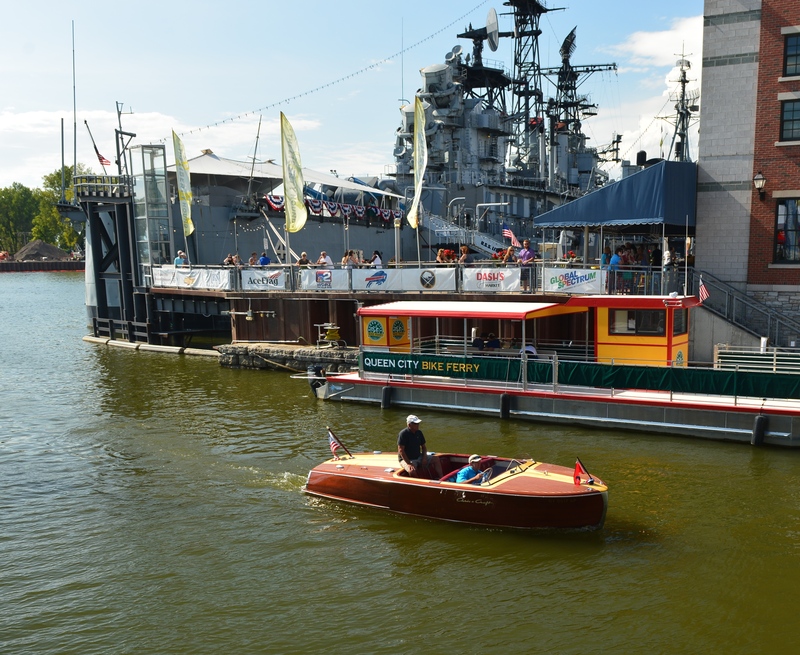 In addition to the water activities available, The Buffalo and Erie County Naval & Military Park – including the decommissioned US Little Rock, yours to tour. Below, all part of “Elevator Alley” – a major expansion of grain elevator construction after the construction of the first Grain Elevator by Joseph Dart. Mr. Dart helped Buffalo explode in the mid 1800s as a grain capital. 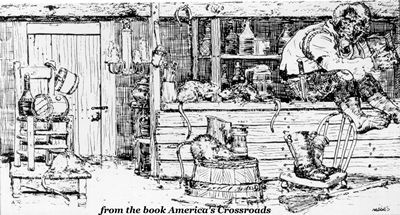 His design, which allowed two “legs” to a grain elevator so two ships could be loaded with grain at one time. Dart’s invention allowed for grain to be loaded seven times faster than non-mechanized methods. Buffalo was able to support the growth of agricultural production in the mid-1800s and post Civil War. 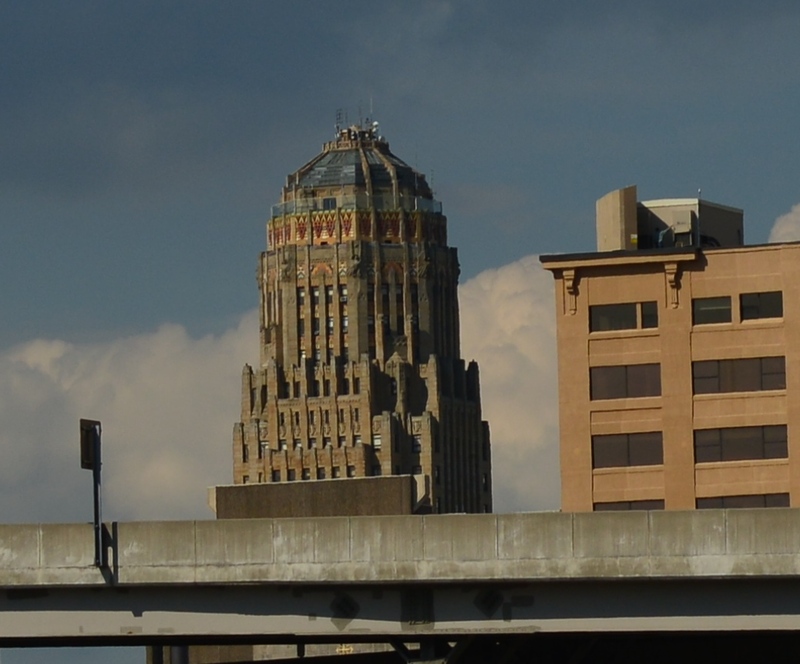 Buffalo was, at one time, the Unofficial Grain Capital of the World. The grain influx was due to the completion of the Erie Canal in 1825 – giving Buffalo a unique position at the intersection of two major water routes, one from the New York Harbor, the other from the Great Lakes. Another facet of the Buffalo Renaissance is the creation of great parks along the waterfront – one is the Union Ship Canal, providing good hiking and biking trails. Many others available on the waterfront. And – of course – leading to Buffalo’s good – and then hard – times, the Bethlehem Steel Plant. The Buffalo renaissance is led by the Pegulas (Terry and Kim) who purchased the Buffalo Sabers and Bills and are pouring money into the downtown Buffalo area. They have created a hockey space (“Harbor Center”) with two NHL-sized spaces for ice tourneys and practice – attached to lodging. They are Gods in Western New York – park of the foundation of the area’s revitalization. The State of New York & the City of Buffalo (tax dollars at work) funded the downtown waterfront. Ice biking anyone? I knew nothing about Buffalo before reading this post. 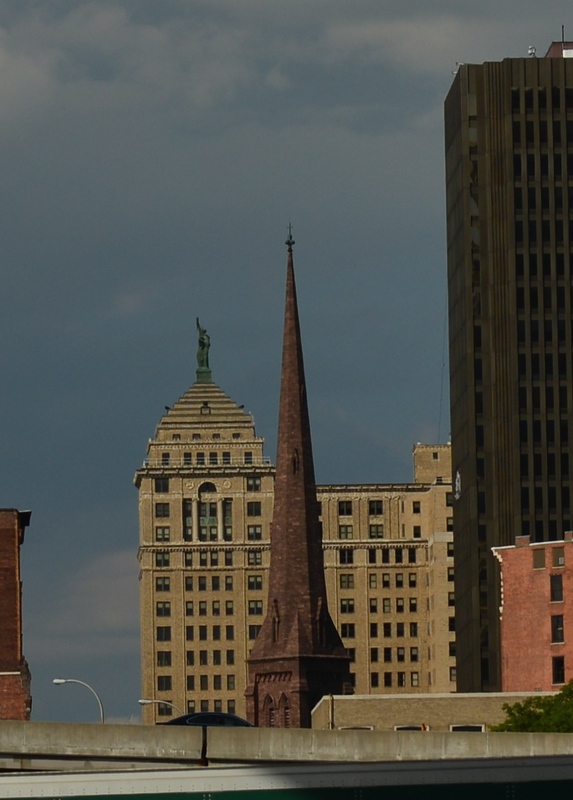 Thanks for your great photos and a very informative history of Buffalo! Thanks for your nice note. I was very pleasantly surprized!